Whether you are a fan of R&B, Rock and Roll, Opera, Native American, Indian or countless other music forms that all use drums to escalate the tempo or those old-time drum solos, something vibrates within you and you find yourself moving to the rhythm. Drumming is also used for healing. Your body resonates to the beats because it instinctively remembers in utero, the heartbeat of your mother’s love and safeness. Virtually every culture that exists or has existed on earth has practiced some form of drumming. In Africa, the beating of a drum continues to be an important part of significant ceremonies and holiday celebrations. Native American cultures use drumming as a means to reconnect an individual’s mental and physical selves. Throughout history, drumming has been a part of performing rituals, marking significant transitions, and celebrating life’s cycles. Shamanic drumming also known as Rhythm healing is the ancient approach that uses therapeutic rhythm techniques to promote health and well-being. Specialized Rhythmic drumming patterns are designed to influence the internal rhythmic patterns of the individual and harmonize those patterns that are thought to be causing illness or imbalance. Shamanic drumming or Rhythm healing relies on the natural law of resonance to restore the vibrational integrity of body, mind, and spirit. Sound waves have the ability to impart its energy to a substance such as wood, metal, or the human body, making it vibrate in sympathy. When we hear drumming, our living flesh, brainwaves and spiritual energy centers begin to vibrate in response. How it works is the healing drum pattern projects onto the body a supportive resonance or sound pattern the body can attune to. This sympathetic resonance forms new harmonic alignments, opens the body’s various energy meridians and chakras, releases blocked emotional patterns, promotes healing and helps reconnect us to our core. The sound patterns also enhance your sense of empowerment and stimulates your creative expression. The Shamanic drummer will create a dialogue between the sounds he/she produces and the responses of the person being treated. Tuvan shamans, for example, often improvise sounds, rhythms and chants in order to converse with both the spirit world and the patient. The sounds produced by the shaman and the drum go out and certain frequencies and overtones are then reflected back. Information is received as subtle vibrations, which the shaman then interprets as sounds, pictures, or as rhythms. Through trained observation, the shaman discovers the right rhythm for their patient, uniquely necessary for the situation. This requires an attitude of absolute surrender and trust. The drummer learns how to trust their spirit helpers to play the appropriate rhythm, which they never know in advance. They cannot make a wrong choice as they are guided by experience and their helping spirits. The rhythmic drumming creates a profound connection with everything around the healer. 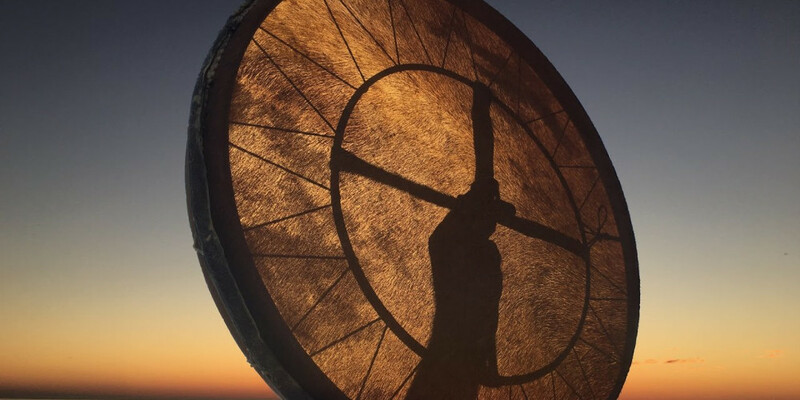 The key to Shamanic drumming and rhythmic healing is to let spirit work through the drummer for the purpose of healing and becoming an instrument of healing. The healing power of drums should never be underestimated. The drumming grounds us and connects us to our primordial beginnings when the deep resonating vibrations of the beat envelop us. Drums engulf our entire consciousness during a rhythmic healing session. Shamanic drumming also helps to activate your own natural healing powers. Some obvious powerful benefits from experiencing a Shamanic drumming and Rhythm healing are listed below. It encourages the body to desire a healthier lifestyle. Opens up acceptance of self. It is beneficial to your cardiovascular health. Boosts your overall immune system. Induces a deeper self-awareness by prompting synchronous brain activity and promoting alpha waves. Helps to release negative feelings and emotional trauma. I have personally experienced sessions of Shamanic drumming and Rhythm healing and I can vouch for the beneficial effects. Everytime was a transformative experience and there was an absolute difference in how my body, emotions and mental state felt afterwards. Hours after the drumming, I could still feel the vibrations through my body. I recommend to anyone, if given the opportunity, to experience this drumming healing modality. You will feel amazing afterwards.